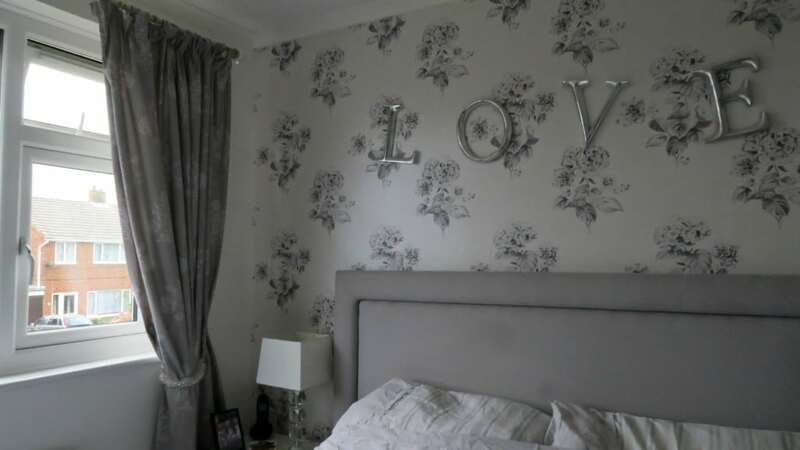 When we completed our bedroom, I decided to have a blind installed rather than a curtain. I soon regretted that when the blind was falling apart and was difficult to pull up and down. 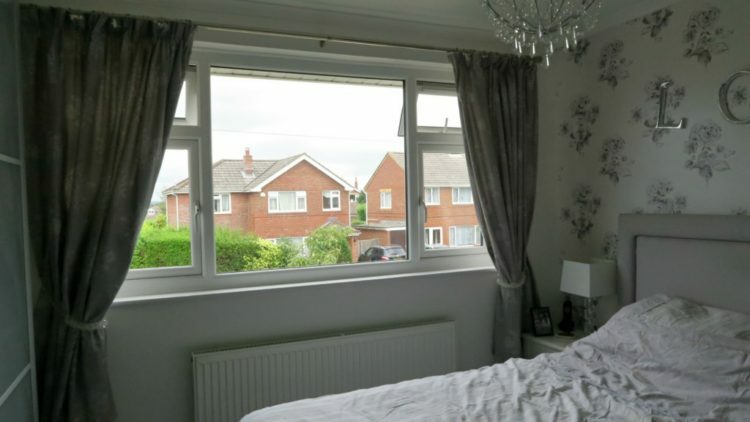 So I purchased some new curtains in the NEXT sale, picking out the grey and white from my wallpaper. They are so much easier to open and close, and let’s be honest they look a lot nicer. I love getting as much light as possible in our room, it is the lightest room in the house and I find it so relaxing. I needed some tie backs to hold the curtains back and let the light in. I didn’t want any old tie backs though, they needed to fit nicely in the room. When I spotted these Swish Crystal Vetrobello Tie Backs I knew they would be perfect! I have a crystal chandelier, crystal lamps and crystal knobs on my drawers. As they are made from acrylic beads they are a really good weight. 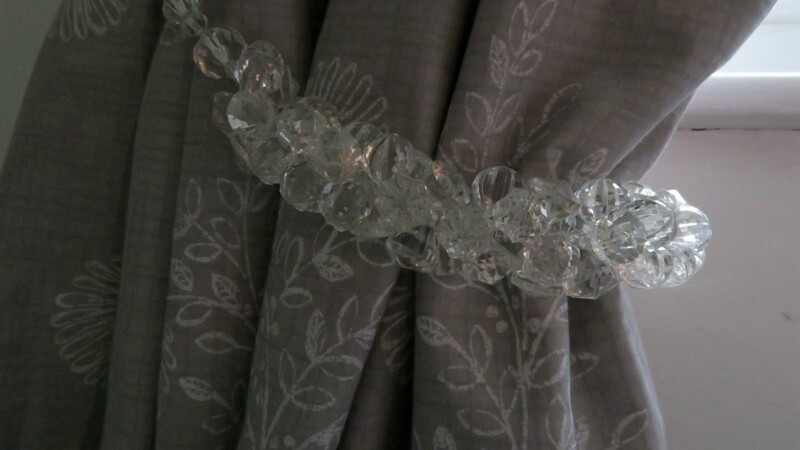 A string full of beads makes them hang really nicely, and fit around the curtain and hold well. You can’t really tell they are made from acrylic until you get close and feel them, they look like real glass crystals. 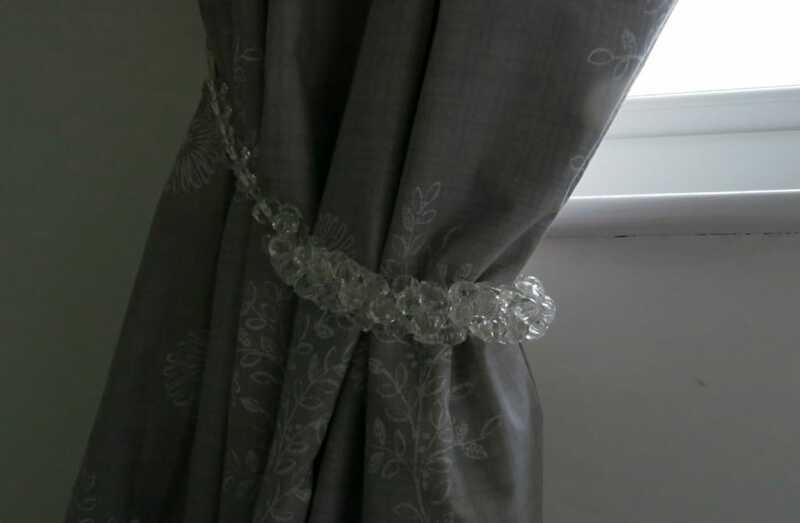 I was really impressed with these tie backs, priced around £13.95 each they are really good value and go nicely with my crystal chandelier, crystal knobs on my bedside tables and lamps. Rooms are never finally finished are they, I keep adding things to each room but that’s what I love! *I was sent these tie backs for the purpose of this review, however all opinions and words are honest and of my own. It’s a better choice. And those curtains fit well with your room. It added a complimenting effect on the beauty of the room. What a great idea. We don’t have any tie backs on any of our curtains but it would be useful. I love how sparkly the ties are. They look fab and go really well with your curtains. I can imagine it being quite tricky to find the perfect tiebacks as there are so many designs and styles of curtains. They’re very pretty. I like to let as much light in as possible too. I love it! That tie back is perfect. I have blinds downstairs and curtains at the first floor. The reason was that downstairs is easy to fix it!